The site is within a Green Belt location, falls within the Thames Basins Heath Special Protection Area (SPA) and has Ancient Woodland to the east. All of which meant that very special circumstances were argued to justify permission. KWL Architects worked to ensure the design fitted with the surroundings. The proposal included the demolition of existing buildings and replacement with a 93 bed nursing and dementia care home, elderly day care centre, communal facilities, staff accommodation, 171 Extra Care Units in the C2 Use Class for the elderly, replacement national charity headquarters and ancillary service buildings. Tetlow King Planning (TKP) provided a care needs assessment along with justification of the current buildings being unfit for purpose to leave the council in no doubt that special circumstances were applicable and permission should be granted. TKP negotiated with both Natural England over the Thames Basin SPA status and with the tree officers. 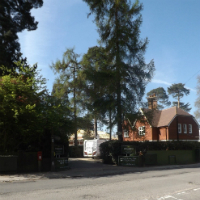 Furthermore TKP were able to negotiate a legal agreement which restricted the occupancy of the care units and satisfied the Council that the units would not be occupied as general housing.